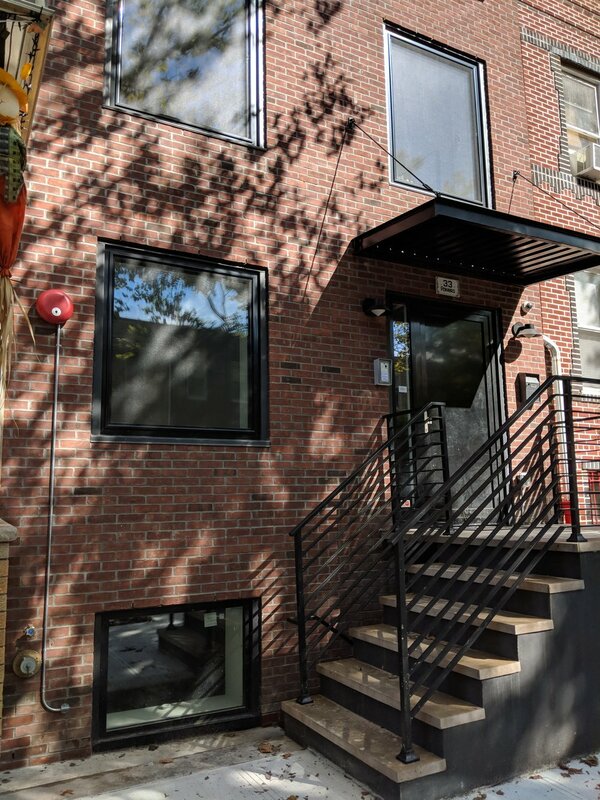 The existing 2 story frame building at 33 Powers Street was structurally compromised and too cramped for the owner’s growing family, but they love the neighborhood and wish to remain. Cycle was commissioned to design a new 3-family building that utilizes all available zoning floor area on the site. In order to meet fire protection requirements, the building’s structure had to be completely rebuilt from the existing foundation up. 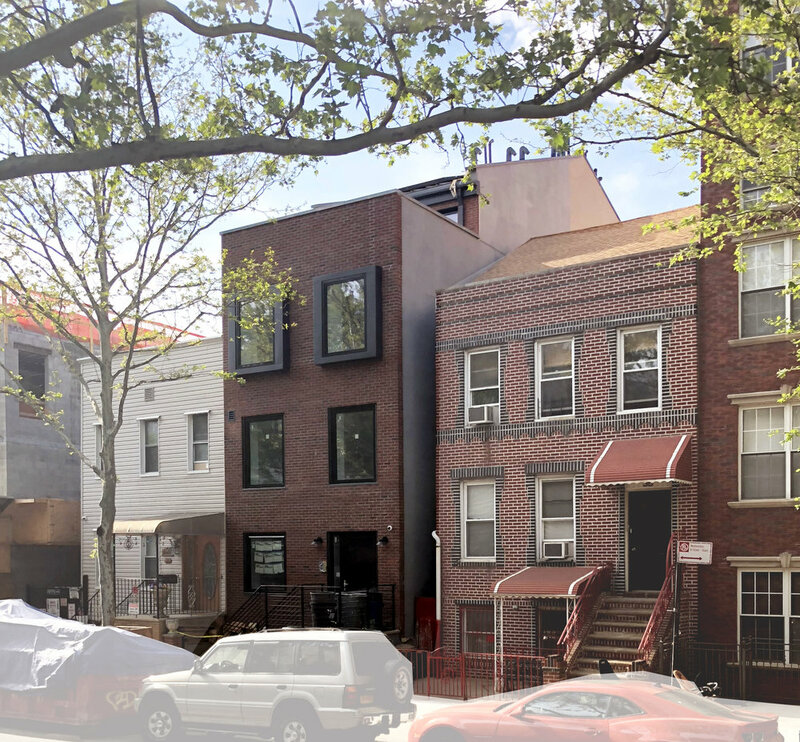 Design of the new foundation and party wall had to be done with sensitivity to the existing neighboring buildings, which could not be adversely impacted by the design. The design of the building incorporates an owner’s triplex unit and two smaller rental units on lower floors. Materials are simple and economical, but the building is provided with a tight, energy efficient building enclosure, including triple glazed windows, blown-in insulation, and high tech “intelligent membrane” vapor barriers. 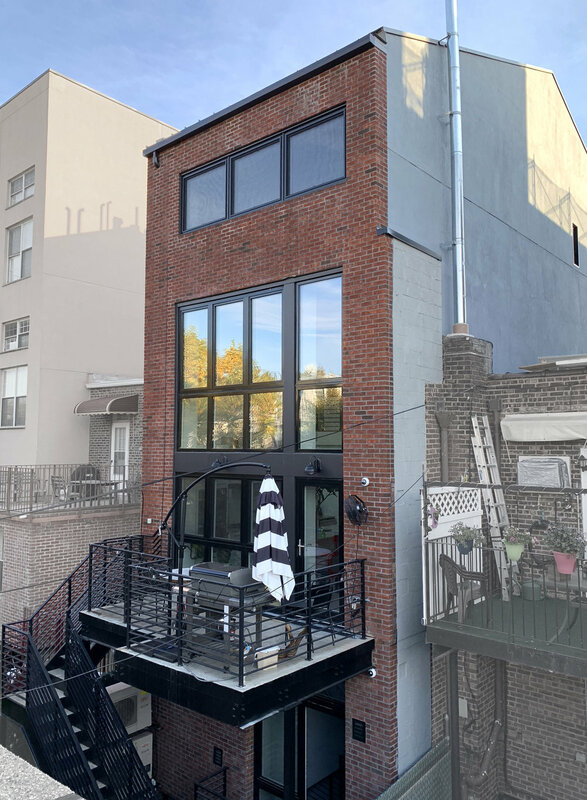 The building offers the owner connections to the exterior space through a double height living and dining space with a deck overlooking the rear yard.